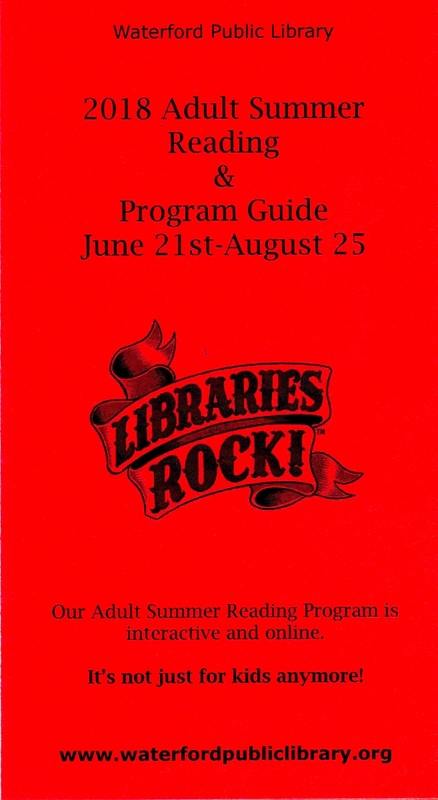 Shoreline Ringers is excited to offer a new educational program that can be used at libraries, assisted living and community centers, etc. It’s a presentation about handbells with demonstrations and hands on audience participation. We will go over the history of bells, various techniques, play a few songs, and more. 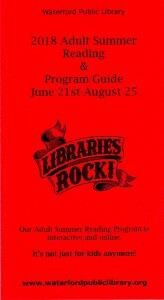 To receive a quote, please complete the contact form. As a 501(c)(3) nonprofit and volunteer ensemble, you can be assured that the entire fee will go solely toward advancing professional handbell music! On March 16, 2019, 5 members of the Shoreline Ringers presented an educational program at the Meriden Public Library. 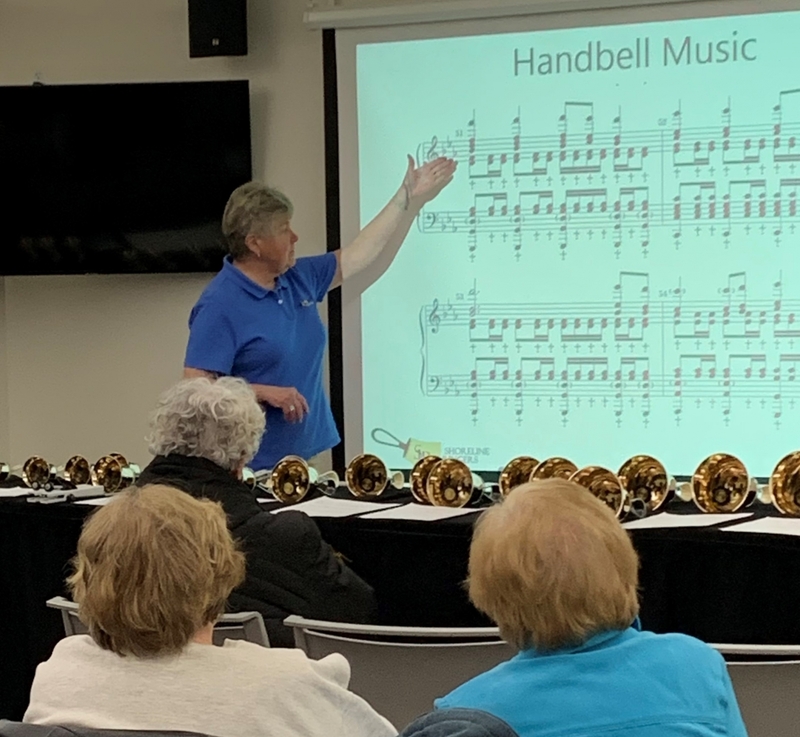 In February of 2019, Shoreline Ringers presented a class at the North Haven Library on Handbell Ringing, History, and Physics. Those in attendance watched the 6 ringers perform a short piece, and then had the opportunity to do some ringing of their own! 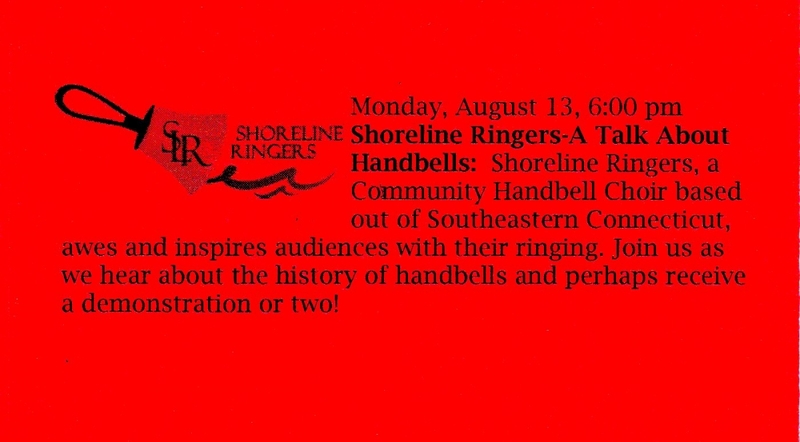 Shoreline Ringers provided an evening program on Monday, August 13th at the Waterford library on the history of bells, the history of handbells, how handbells were introduced to the United States and how they are made. The evening also included a demonstration of handbell ringing and audience participation. Many in the audience had heard handbells before, but this program educated them in the history and ringing techniques they had not heard before, which they found most interesting.